During his career, Nick worked on the agency side (DDB Needham, Burnett), the client side (7-Up, Kmart), and the media side (Focus Media, Optimedia). He truly was a 360° guy. 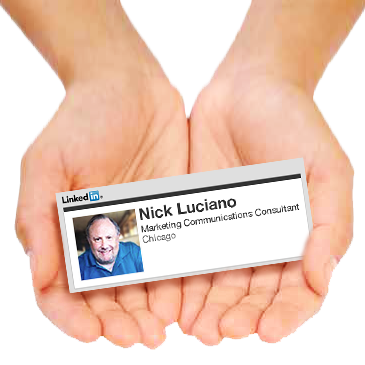 Teresa Luciano wants Chicago’s marketing community to know Nick loved his career and all his wonderful friends. This entry was posted in Uncategorized and tagged Nick Luciano. Bookmark the permalink. Just read Mr. Luciano’s obituary. To lose him at age 60. And now be faced with a mountain of medical bills. Nick had a lot of friends. So please pass along this info (and Teresa’s message) to all the Chicago folks in your LinkedIn network. THANKS!